Experience matters in any type of service job. Even a task that is looks simple on the surface can benefit from time tested techniques. In other words, there will always be a right way and a wrong way of doing something. Wouldn’t you like to hire the company that consistently does things the right way? When it comes to junk hauling and yard waste removal, that dependable company would be Junk King. They put their experience to work every day and you get to be on the receiving end of those benefits. Junk King has been in the junk removal business since 2005. That has given them plenty of time to learn a few “tricks of the trade” that make each job run more efficiently. Consider yard waste removal. Typically, these jobs have the Junk King crews dealing with a lot of loose items. Rotten wood, piles of leaves, branches, shrubs, dead plants, sod, rocks and chunks of concrete would all go on that list. Junk King has learned that the best approach for this chore is to load up all that waste in a bin and move that bin back and forth to the truck. Sounds simple, but there are plenty of junk haulers who like to charge by the hour and want to drag out the job. That’s not going to happen with Junk King. You also won’t have to “lend” them your trashcan. The Junk King crews arrive at every job fully equipped with all the tools they need to get the task completed. Included in those tools would be things like hammers, screwdrivers and crowbars. 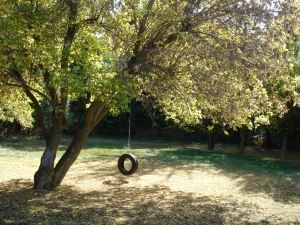 These can be used for more intense yard waste removal projects like taking down a fence, a wood shed or a swing set. Every Junk King crew has the experience to dismantle whatever you need hauled away. Experience also has taught the crew to treat your property with respect. They’re not going to track dirt through your home. Obviously, if you have yard waste removal and junk hauling, they’ll carry out the debris from inside the home before heading out to the yard. Again, it sound obvious but you’d be amazed at how many so-called professional junk haulers get that wrong. When you need efficient and affordable yard waste removal and junk hauling, Junk King is the only company to call. This entry was posted in Albany Yard Waste Removal Services and tagged Junk King, junk removal, Yard Waste Removal on November 26, 2014 by Todd Porter. Last updated August 1, 2017 . There is a lot that has been written about the home. That is where the heart is and there is no place like it. Some have even suggested you can’t go there again. The truth is that a home is what you make of it. That can be a sprawling mansion or a tiny dog house. When it comes to a clean out, every home matters to Junk King. Apartment managers love working with Junk King. They know that any time a tenant moves out there is the potential for items being left behind. They have to spring into action quickly to get that junk cleared out in order to make room for a new occupant. That could be a very narrow window. Those managers depend on Junk King dispatching a hard working crew right away to get the job done. Often a junk pick up can happen in the same day. If you live in an apartment, you can be sitting on your fair share of junk. The problem is that your space is really at a premium. You can use Junk King to help with your decluttering no matter what floor you live on. It also doesn’t have to be a huge load of junk. You can call on Junk King to help you get rid of stuff from insider your closets, under your bed or in your cabinets. They can certainly pick up all your outdated e-waste items like computers, monitors, printers and televisions. 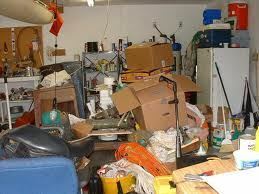 Hiring Junk King to help with a clean out project is crucial is you’re about to move into a home or new apartment. You don’t want to carry old junk into your new place. When it comes to bringing that stuff down in an elevator or several flights of stairs, let Junk King worry about that. They won’t be charging by the step! Instead, you’ll always pay the same fair price that will be based on the volume of your junk as it fits on the back of the Junk King truck. It’s a price you’ll know before any work begins. Whether you’re living downtown, in the suburbs, in a home or in an apartment, if you’ve got junk to clean out, then Junk King is the only call you need to make. This entry was posted in Albany Home Clean Out Company and tagged Albany Home Clean Out Company, Junk King, junk removal on November 18, 2014 by Todd Porter. Last updated August 1, 2017 .